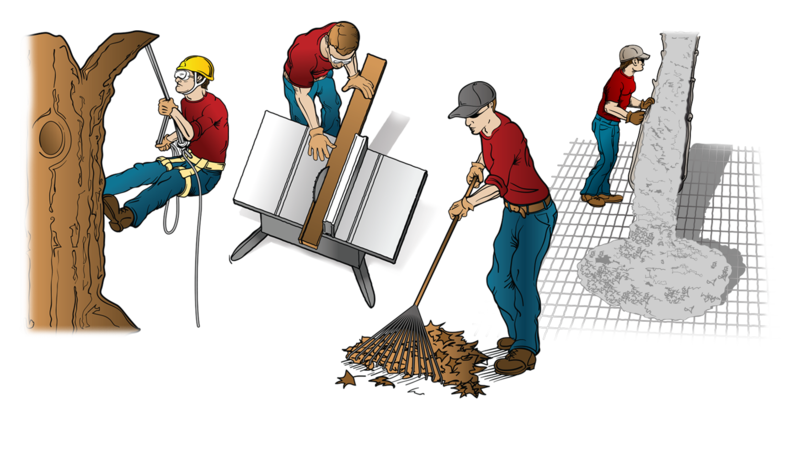 The tradesman series is a set of character illustrations for use in a catalog and a web site. They were eventually expanded as a stock art series. The illustrations were developed using 3D models for positioning and pose. The final characterizations were produced in Adobe Illustrator. EBC can draw anything! Whether it be for stock art or your specific applications there is little we cannot visualize. The Tradesman Series represents a colorful and friendly hand drawn style with a broad audience appeal. It is an example of the varied and unique styles EBC is capable of producing. We are interested in producing your images for apps and games too. Contact Us We want to hear more about your project or program.